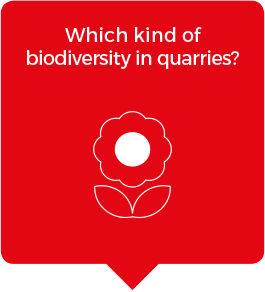 The aim of the Life in Quarries project is to develop methods to optimise the biodiversity potential of mining sites operating in Belgium. 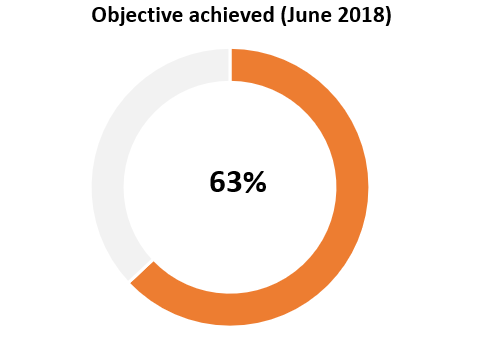 The innovation consists in implementing biodiversity management measures during operation through “dynamic management”, but also during the rehabilitation at the end of mining activities through “permanent nature”. 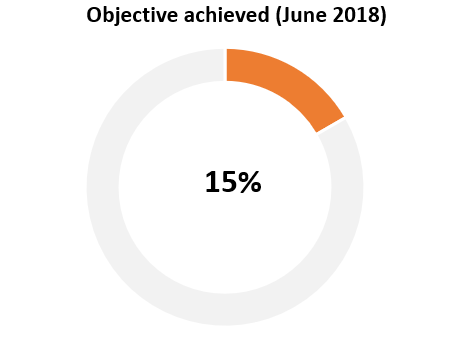 The integration of biodiversity management during the operational phase of a quarry requires the development of new biodiversity development approaches and an administrative and legal management. A network of temporary habitats is managed dynamically in time and space across the quarry in parallel with the extractive activity, ensuring a constant availability of suitable habitats for the development of biodiversity. 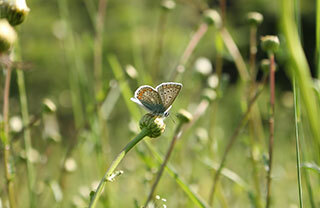 The dynamic management of biodiversity is intended to target several rare and protected species in Wallonia which will benefit from habitats generated by mining activities for the development. This is the case, among others, for the sand martin, lizards, wall lizards, natterjack toads or typical algae typical of poor environments such as characeae. 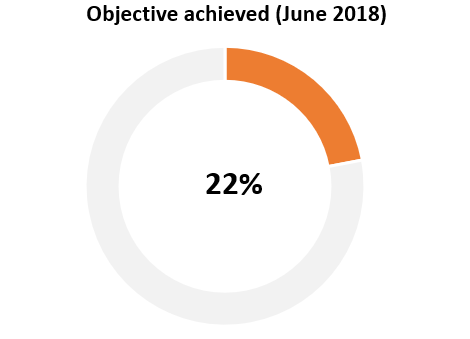 Since 2012, the industry, represented by Fediex and Pierres et Marbres de Wallonie, has been committed to an industry charter aiming to promote the development of biodiversity at its sites in Wallonia. This charter, concluded initially within 3 years, has been extended to 2020 thanks to the Walloon Ministry of Nature. The mining industry is the first sector to sign such a charter with the Region. This charter forms part of the future plan “Nature everywhere for everyone” within Wallonia. Introduction of training for its members. This training has been organised by Fediex for three consecutive years (2013-2015) in collaboration with Pierres et Marbres de Wallonie and the Gemblous Agro-Bio Tech Biodiversity and Landscape Unit. It is part of the Faculty continuous training programme. 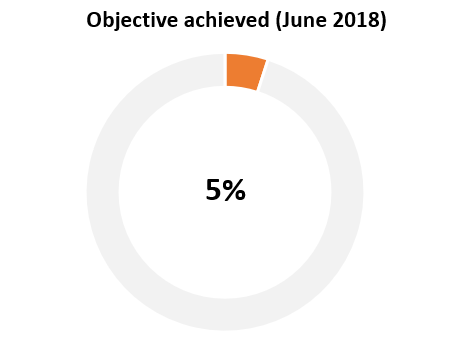 No less than 56 people have participated to this training since its launch in 2013. Biodiversity promoters are now present by 49 sites. 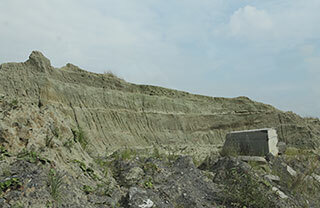 With the aim of implementing concrete actions on the ground and providing technical support to quarry operators, the LIFE in Quarries project is a logical extension of this approach. The co-funding representing the object for the European Commission and the Walloon Region should allow the establishment of a sustainable biodiversity management strategy of these sites. The presence of temporary ponds is conducive to strengthen amphibian populations (natterjack toad and midwife toad) and dragonflies, linked to these habitat networks and stimulating the development of vegetation characeae, typical algae ponds poor in nutrients (oligotrophic). 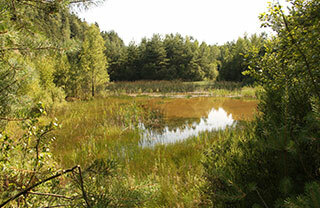 Target: creation of 120 temporary ponds over several years. 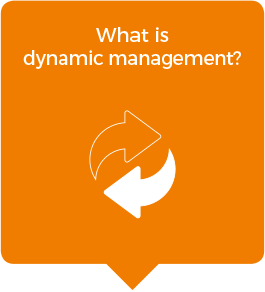 This dynamic management requires the availability and constant development of habitats allowing targeted pioneer species to follow their life cycle. Often associated with temporary ponds or drier substrates, pioneer grasslands house a large variety of annual plants and insects. In quarries, these grasslands encourage the reproduction cycles of birds, such as the lark and the little ringed plover. Multi-annual management by deforestation and planting allows the reopening of these pioneer environments and introduction of typical plant species. Target: creation of 12 hectares of pioneer grasslands. 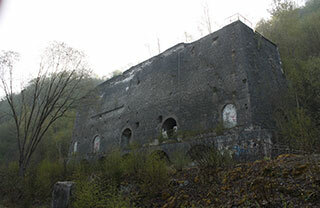 In Wallonia, the scarcity of the natural habitat of the Sand Martin, following the stabilisation of the river banks, led species to search in quarries and other artificial sites, such as loose cliffs. The creation and annual refreshing of soft sediment cliffs ensures the maintenance of a suitable habitat to be the home of swallows. These habitats may encourage the development of solitary bee populations. 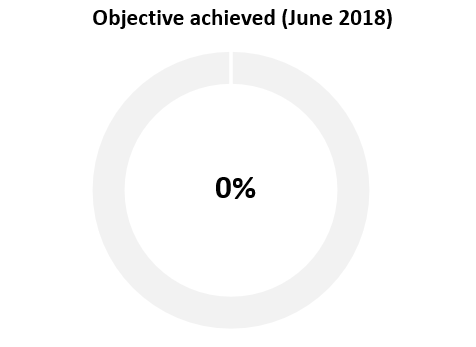 Target: creation of 10 banks and creation of 30 metres of cliffs. Apart from their interest to flora heritage at European level, calcareous and siliceous screes are important breeding sites for reptiles, such as the smooth snake and wall lizard. 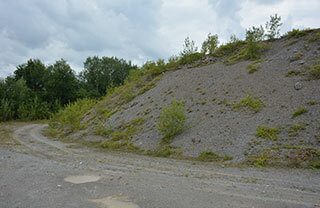 Target: creation of 5 hectares of scree over all the sites. 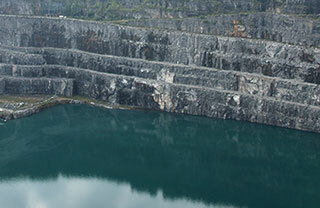 For the reception and the development of biodiversity in operational quarries, it is necessary to rebuild a favourable habitat for the protection of species. This action includes the construction of riprap, shelter and hibernacula for reptiles, amphibians and insects. Target: installation of 96 shelters during the project. The development of 8 lots of annual heritage plant species will allow a seed bank for the reintroduction within the site with favourable conditions for their development. Aim: selection of a minimum of 8 vascular plant species based on their affinity for dry, oligotrophic and sun environments for production of seeds and seedlings in their pioneering grasslands. The geographic isolation of quarries can be a limiting factor in the recolonization of small wildlife, typical of pioneer environments. 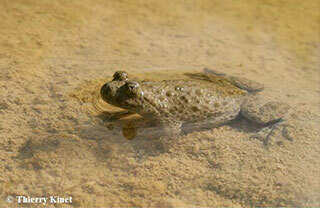 In order to benefit from the welcoming potential, the project strives to reintroduce populations of Natterjack toads and Northern crested newts into potential quarry sites. 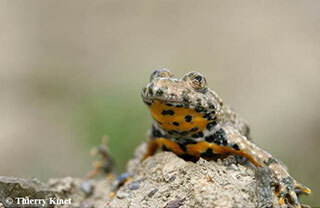 In the Walloon region, the yellow-bellied toad is almost extinct following the disappearance of its habitat. 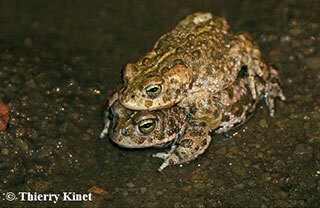 It is commonly observed in quarries abroad, this toad can flourish on operational sites. 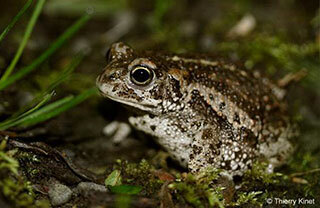 Therefore, the objective is to proceed with the reproduction and reintroduction of a population of yellow-bellied toads on a site with favourable conditions for the species. 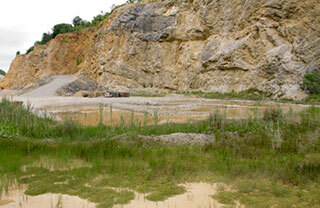 The restoration phase is an important stage in the life of a quarry. 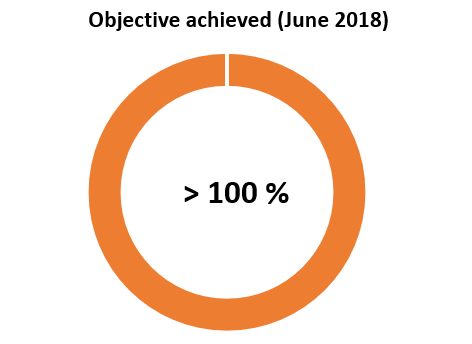 Actions concerning permanent nature target rehabilitation initiated in the peripheral areas during operations. 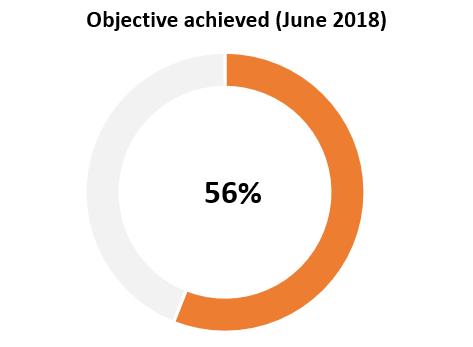 The rehabilitation of these areas showed an improvement of ecosystem services and maximised the occurrence of stable and biodiverse ecosystems. 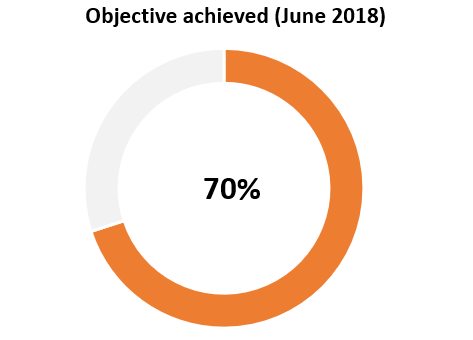 These conservation actions must effectively contribute to the development of diverse habitats, hosts of original communities and rare species, outside the traditional network of natural reserves and the Natura 2000 network. 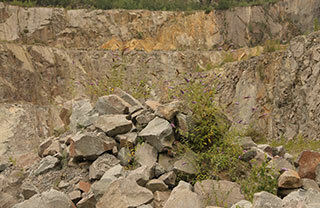 Quarries play a key role in migration, dispersal and population exchange in highly urbanised areas. 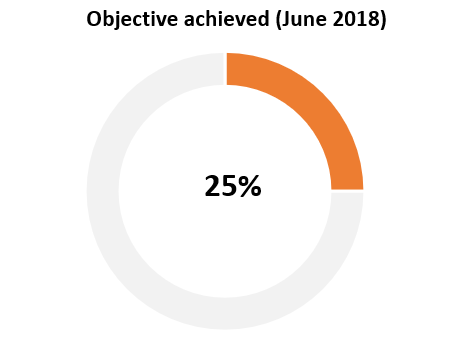 In the long term, beyond the duration of the project, the sustainability of the dynamic management of the biodiversity of the sites involved will be ensured by the signing of charters between operators and the Department of Nature and Forests in the Walloon region. 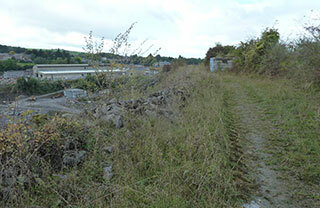 Permanent stretches of quarry water hold rich habitats which ensure the subsistence – food and reproduction – of numerous plant and animal species, such as the northern crested newt and the Midwife toad. 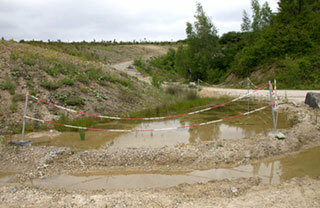 Target: creation of 24 permanent ponds with a surface area greater than 25 m². Old mining pits are often flooded with exceptional quality water. 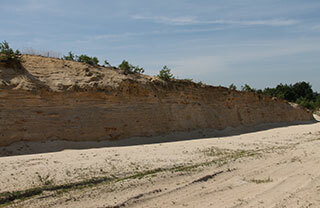 However, the steep cliffs of the old operating fronts can limit the introduction of vegetation and associated wildlife. Target: Softening the slope of a 400m bank with stripping materials for quick installation of reed beds. The large water courses resulting from former sites can be rapidly colonised by fishes. The lack of islets on these large bodies of water limits the installation of bird breeding sites for the tern and the common gull for example. The aim of the project is to proceed with the installation of 16 floating platforms constituting attractive zones for the nesting of these birds. 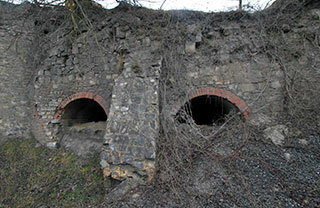 The outbuilding of quarries, such as the old lime kilns, technical galleries, ancient houses or farms, may offer a potential home for bats during nesting or breeding. Target: Securing four outbuildings to build a summer cottage or a wintering site for bats. The hay meadows are blooming meadows becoming increasingly rare due to the intensification of agriculture. This type of vegetation is found in some wasteland, but the floral return is often simple. 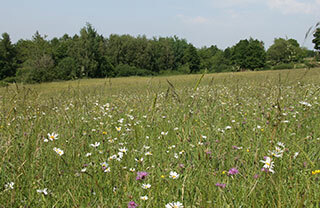 Target: Restoration of 10 hectares of meadows in the preparation of sites, the supply of seeds and development of rational management by farmers or local associations. 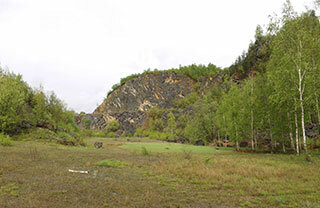 Quarry sites are an important opportunity for the restoration of limestone or acid-loving grassland depending on the type of rocks concerned. 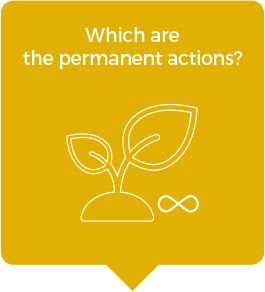 The restoration of these environments requires different types of work such as clearing, deforestation, planting or transfer of hay and the fight against invasive plants (e.g. buddleia, acacia). 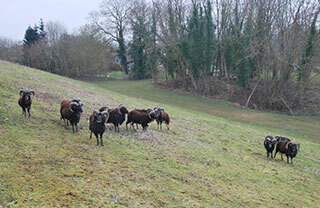 Fencing will then be managed by grazing in association with local stakeholders. 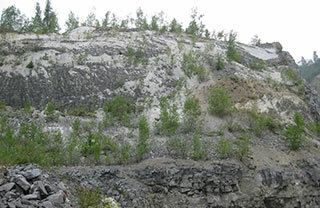 The establishment of linear clusters of rocky waste aims ensures connectivity between suitable habitats for reptiles. 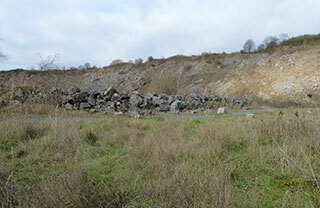 Targets: Creation of 8000 m of this type of linear screes, to increase the mobility of reptiles in the quarries. 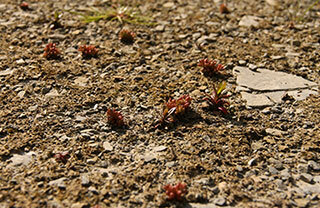 Specific sowing is envisaged to stimulate plant colonisation by honey species or those typical of screes.